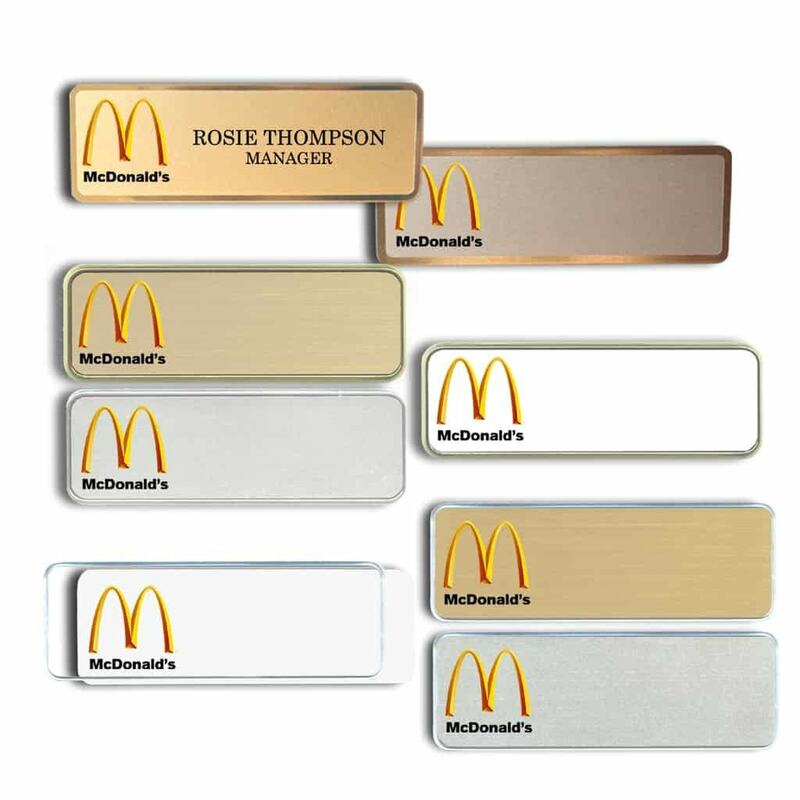 McDonald’s Name Tags and Name Badges. 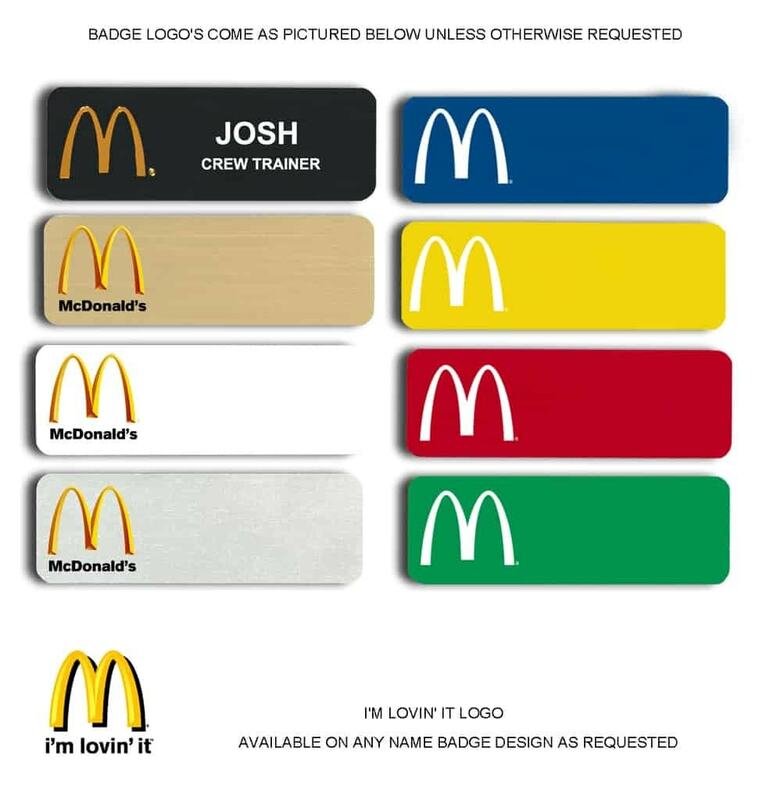 Order name badges for McDonald’s here. By Name-badges.com Inc.
McOpco approved EDI vendor partner, Franchise locations too. Name-badges.com Inc. Since 1993. We pride ourselves in servicing the Golden Arches since 1995. Let us know which color or Badge program you use and we are on it ! 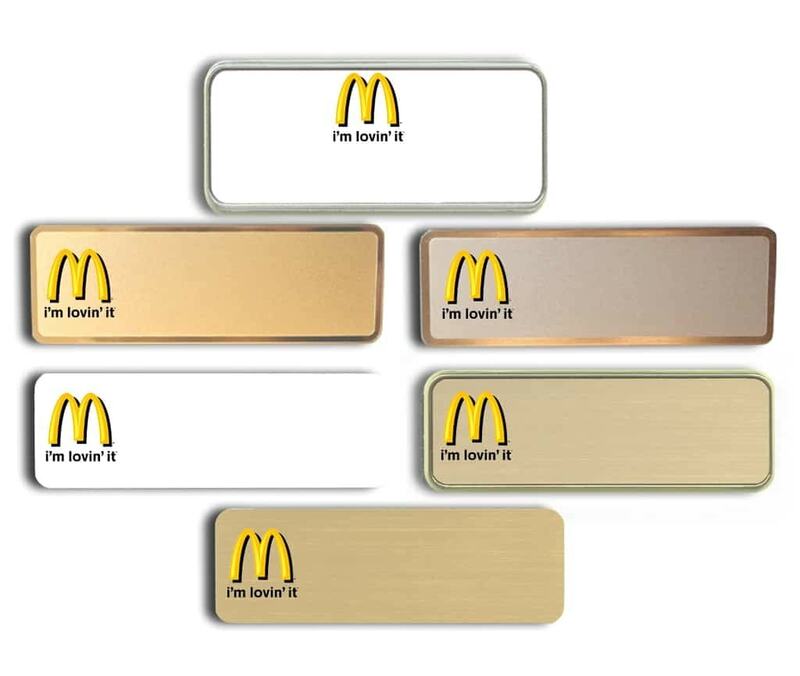 These are samples of logo name badges we’ve done for McDonald’s. New design or promotion ? We can help. Name-badges.com Inc Inc. EDI vendor partners for McOpco or Franchise locations.